Art. 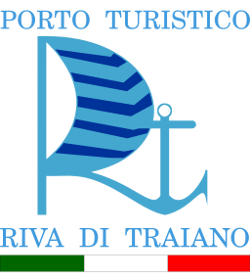 1 This regulation relates to l ’ l ’ ’ tourist use exercise and granted to ” Riva di Traiano Marina S.p.A.” Headquartered in Civitavecchia at Km 67 + 580 the road n. 1 Aurelia, by virtue of the acts applicable licensors, released by the Maritime Administration and transferred to the relevant offices of the Lazio Region. Art. 2 The Regulation is binding on all those who for whatever reason use moorings, docks, assets and infrastructure within State-owned maritime areas allowed or providing their services in ’ ports. The company will give publicity to the requirements therein by posting this regulation at the premises of Direction and using every form of advertising deemed appropriate. Art. 3 Anyone visiting dell ’ landing and those engaged in work activities are held all ’ compliance with the rules contained in the code of navigation approved by d.r.. 30/3/1942 n. 327 and its implementing regulation approved by D.P. R. 15/2/1952 n. 328, as well as in the legislation relating specifically to the maritime sector and to recreational boating and the provisions of the Lazio region Maritime State property management. The same shall also be kept all ’ application of the laws on Customs, of police, hygiene and environmental protection ’ environment, as well as to any other provision still applies. Art. 4 The technical management of ’ call is managed by a Director who shall be assisted by the appropriate staff. Such personnel as well as, in General, dependent on the Company, During its service will wear a special holding or will still be identifiable with badge of recognition. Art. 5 Without prejudice to the powers of ’ maritime authority, the Lazio region and other State agencies, the Director shall ensure that the landing ’ ’ in compliance with the laws in force.. For this purpose the staff l ’ obligation to report any transgressions to the direction for immediate ’ information related to competent maritime authority or police ’. Art. 6 The Director of the ’ landing, without prejudice to any action by the competent authorities for violations of laws or regulations, shall take the necessary measures to ensure compliance with this regulation ’. The same, informed the competent corporate body, in urgent cases the competent authorities may require the removal of the vessel which have been responsible for a serious offence or multiple offences. Art. 7 The concession company provides the following services: in) ’ mooring assistance; b) fire services in accordance with the requirements set out in the ’ maritime authority; c) cleaning of water; d) cleaning of wharves and docks, as well as on-board waste collection; and) water services, electric, toilet facilities, directories, and their maintenance; f) enlightenment of port; g) maritime signalling. The company also provides a generalized service structures and installations but does not assume any obligations towards owners of boats and cars inside parked cars for damage or theft since both boats that cars and objects contained in them are not entrusted in custody. Therefore all who use l ’ landing shall be provided appropriate measures to protect their assets from theft, damage and the like. Each berth is equipped with outlets for drinking water and electricity, aft mooring cleats or rings for ’ 's, a bridle chains attached to a Trappist monastery for the forward berth. Art. 8 The concession company, In addition to VHF on channel 9 of work assigned by the Ministry of posts and telecommunications, continuous service listening on channel 16. Art . 9 Services identified in the foregoing articles shall enjoy the exclusivity clause pursuant to Civil Code 1567 ’ art.. Customers are required to pay for the services provided by the company according to the rates established by the Board of Directors and approved by the General Assembly ’. In the event of non-payment of services for a continuous period of three years, the corresponding port unit will return in the exclusive availability of P.T.R.T. S.p.A.
Art. 10 And 'it is forbidden to ask staff landing interventions of any kind: each request should be forwarded through the Directorate. In particular, the staff of ’ landing is forbidden to climb on board the vessels except in the case provided for by articles 26 and 47. Art. 11 This regulation may be amended by the company's Board of Directors. The variants must be submitted to Assembly ratification of the members, and finally subjected to the N.o. the competent offices of the Lazio Region, conformity of the opinion Marittima or by other government departments for aspects of competence. Other temporary rules or special, and communications, information and recommendations will also be on display in the appropriate paintings to that intended, the Directorate. 12 art. The measures of the units entering harbor moored must not exceed such as width, including appendices, those provided for the categories of the relative berths while for the length tolerances are allowed in the order of 5% compared to the size of the categories. Reference measurements are those listed in the navigation licence. The water footprint measures, considering the normal projections from distance from the jetty and uncalculated appendages in overall length, must not exceed the size of the category more 20% departing from the wharf or quay. And 'faculty of management of the port exception to the limits with absolute temporary measures. Art. 13 Throughout the ’ port ’ fishing is prohibited within the scope of any kind from the ground or from edge and gathering of shellfish and mollusks. Art. 14 Throughout the ’ ’ landing on land and at sea,It is forbidden to carry out sea bathing, water-skiing, rowing and sports activities of any kind. This prohibition includes sailboards and extends to the waters off the mouth. for a radius of 500 meters. Art. 15 Throughout the ’ sphere port are prohibited both the game of football than any other game that is likely to cause inconvenience or nuisance. Art. 16 For safety reasons it is forbidden to climb on the rocks of the breakwater. Art. 17 Throughout the ’ sphere port it is forbidden to keep guns and without a muzzle.. In any case, the owners will have to keep them in check and take every precaution to ensure that do not cause annoyance and not lordino l ’ port area, remaining, in any case, responsible for cleaning and for damages. Art. 18 It is forbidden to start up, unless the ’ boat mooring is about to leave the ’, and in any case for no longer than twenty minutes, main and auxiliary engines prior to 09,00 in the morning and after hours 20,00, as well as from 12,30 at hours 15,30 during the period June – September inclusive and public holidays and holiday eves. And’ banned, In addition, l ’ use of audible signals except for safety reasons, and the ’ making noisy work; must be avoided any activity or behavior (radio, television, stereo systems, disorderly conduct, etc.) that would disturb the peace of others. L ’ performing maintenance and repair work involving disturbing possibility or danger of damage or injury shall be subject to the prior authorization of the Directorate of ’ landing. Art. 19 And’ forbidden to obstruct with objects, materials and other platforms, the piers and jetties, the squares and streets of transit. In the event of non-compliance, the management will have as illegally deposited. Art. 20 And’ forbidden to keep in storage rooms flammable materials, explosive substances or liable to form explosive mixtures. And’ forbidden to work on the docks and piers that can soil or damage. And 'it is forbidden on the wharves and piers to handle flammable materials, fires or use of any kind braziers. And’ banned, throughout the ’ sphere port, washing of vehicles. Offenders will be charged cleaning costs, breakdown and recovery. Art. 21 L ’ Pier access is reserved: to owners, crews and passengers and guests moored units; to an employee or trustee of the concession company; engineers authorised by the management of port ’ access for service reasons; to people authorized by the direction of the port ’, and to police. Therefore it is forbidden to outsiders access to the mooring pontoons. Art. 22 During the hours of closure of public facilities and commercial is ’ forbidden entry to outsiders; This control is carried out by an appropriate supervisory service performed by dedicated staff. Art. 23 Conducting any activity in the ’ ’ use of ’ landing involving l divers is attributable to the staff on duty in the ’ port and must be authorized by the management. This applies to any work for occasional interventions such as retrieving objects on the bottom, tops in ’ propeller, etc. Divers must be entered in a special register held by the #8217 and;’ Maritime Authority. Article 24 All incoming craft, outgoing and all internal port ’ ’ must not exceed the speed of three knots and must follow the rules for preventing collision at sea. Outgoing units take precedence over incoming calls; all those equipped with VHF should however make contact with the control tower before the ’ entry; outgoing calls must listen VHF on channel control tower work, before committing the waterway. Boats at the wharf supplies must inform the Watchtower, in order to permit the traffic in case of strong turnout. Art. 25 Throughout the ’ sphere port and less than 200 metres all external dell ’ ’ embouchure is forbidden for all sail with sail propulsion only. In the event of damage to the motor or sail propulsion only drive, You must communicate to the control tower and wait for instructions. Art. 26 Throughout the ’ sphere port it is forbidden to give bottom anchors if not for emergency or for steering trim. The units must dock only to specially crafted catenary. And’ forbidden to use the trappe to l ’ mooring: This must be done with the tops or the cables whose efficiency is responsible for the Commander. All units ’ mooring shall be fitted with efficient and fenders in sufficient numbers to avoid damage to your own and others ' unit. Every Commander is responsible for mooring ’ of own unit, and must do so also for the case that in his absence for bad weather. Anyway, the Department will be able to get on board of the units their staff for security reasons or to strengthen their moorings. Art. 27 And’ forbidden’ access to piers, whatever the reason, any type of motorized vehicle except the means employed by boatmen in service. Art. 28 Towing operations, var, repair and maintenance must be done in the area of building site and specifically indicated by the direction of the port ’. The shipyards and other companies operating in the port can not in any way obstruct the access roads to the port and the inner ones if not only for the time strictly necessary to the requested operations, and must follow the rules laid down in this regulation. Art. 29 The ground units may only Park in this intended. Art. 30 No changes or additions can be made to either the port facilities that the business premises (fixtures, Insignia, etc.). And’ banned, Anyway, change in any way the destination or l ’ use established by the concessionaire of artifacts, areas or spaces. For every need must be addressed the direction they will take any necessary measures. Art. 31 The speed limit on the roads all ’ port is 30 km per hour for cars and 15 kph for motorcycles. L’ all vehicle access’ Interior of’ landing is permitted only to holders of car spaces. They are issued a special mark that's due out on the windshield of the vehicle. L’ access is also allowed:the means of the police forces and to those engaged in rescue operations, fire escape,anti-noise and to all those to whom, for loading or unloading of vehicles or cargo needs, specific permission is granted by the Directorate. Every other user of’ landing, for putting people or luggage, can be accessed with your car to the nearest point on all’ affected units, specially designated by the management. At the end of these operations, vehicles must be parked in areas reserved for parking or free, as the case. On all vehicular traffic’ Interior of’ landing must be held along the routes, in roads and at the speeds indicated by signs. Regardless, each driver will have to carry their vehicles cautiously and in the knowledge that in all’ the context of the’ landing l’ access to land is permitted for parking and not for circulation. The parking of vehicles in unapproved area will cause all’ immediate removal at the risk and at the expense of their respective owners. Art. 32 The concessionaire is required to delimit and expose with appropriate facilities, all ’ within the ’ area shipyard, vehicular lane meters wide 3 along the outer fence,constantly guaranteeing free transit in order to allow emergency vehicles and police l ’ access to areas north of the Marina and Pier. Art. 33 The insignia, bright or less, Please excuse me if the ordinary business of Civitavecchia, located inside of the tourist ’ ’ all, must be approved by the management and located in positions necessary for all ’. loading and unloading of material from business premises may only be made by 08,00 at 10,30 and from 15,00 at 17.00. As businesses mainly seasonal nature,the opening and closing times of the same shall be regulated by law, with observance of Civitavecchia municipal regulation for the opening on public holidays and peak tourist. Anyway l ’ maximum opening time for recreational exercises (bar, social clubs,Club) cannot be extended beyond hours 02,00 while music and entertainment must cease within hours 01,00.I aforementioned exercises will still only be located inside the housing units authorized for this purpose by the municipality of Civitavecchia. Art. 34 The company prepares and maintains efficient and ready to ’ use an appropriate organisation constituted by stationary and mobile and by qualified personnel, in order to intervene in the event of fire or pollution. Art. 35 In case of fire or landing Directorate of pollution ’ intervenes immediately adopting the appropriate measures, by employing the means and the staff provided by the company, requesting and coordinating, When using the case, l ’ deployment of means of edge of the units in the port and ’, If you look to the need, unmooring and l ’ stretch drive with fire on board or others who are close to. In any case, shall inform l ’ maritime authority by requesting directly, If necessary, l ’ intervention of firefighters or licensed contractor all pollution ’ performing the services. Art. 36 The heads of the units in the port are required to comply with the following provisions on preventive and General disposition: in) in case of spillage of hydrocarbons on little lake or on the docks, jetties or piers, the Manager must immediately notify the management and take appropriate measures promptly to contain and limit the damage, taking care to inform the staff of nearby units and how many are in place; b) each unit shall take all necessary measures to avoid depositing at sea of bilge oily mixture; These mixtures can be given on the ground recapitandole in the designated assembly points; c) in case of early fire managers of ’ units concerned should employ on-board fire-fighting equipment immediately, providing, at the same time and with the quickest, to feel the direction; d) before the starting of engines, l ’ user must arrange for ventilation of the engine compartment; and) fire-fighting equipment and the electrical Board must be kept in perfect working condition and maintenance; f) the on-board compartments containing liquid gas cylinders must be adequately ventilated; When the ’ unit is unattended cylinders must be closed; g) refueling all ’ boat must be carried out exclusively by the pumps of the fuel distribution station existing in port ’ Inc; normally it is prohibited, in the port ’ ’, any other mode of supply, except in cases of force majeure to be assessed exclusively by the Directorate at the request of the affected ’; the fuel station manager shall maintain in perfect efficiency expected from fire suppression system test report and provide an adequate system for anti-pollution booms floating ready to encircle l & #8217; any spillage of oil into the sea..
Art. 37 And’ banned the cast of waste of any kind (objects, liquids, debris, etc.) both on land and at sea. In ports is adopted waste collection where all users must adapt by using, by type, the dumpster dedicated. Art. 38 The company shall establish and maintain hygienic premises on the ground. Cannot be used on board services units that are equipped with special tools and equipment for the collection of sewage by it coming. Art. 39 Are subject to civil liability for damages caused during fires, pollution and of any fact which might be brought to responsibility of users. IX Cat. (m. 42.00×10,00) n. 2.
n. 10 (from B1 to B10) they are available to ’ maritime authority and the police. n. 113 are left at the disposal of units in transit or in Park limited. Article 41 The berths are indicated by appropriate signage and numbering. The holder shall enjoy the mooring of which has exclusive use and the Directorate shall ensure that it remains free even in the absence of the prolonged. In case of lease, or hiring the holder must inform the direction of port ’ which will take care of the estate of a special newspaper in which are recorded the units in Park and its managers ' contact information. In any case, It is for the sole proprietor l ’ obligation to pay the services referred to in article 10. L ’ user, fixed or temporary, must always and in good time inform the direction of port ’ ’ ’ of any change in employment of mooring. The direction will have l ’ unit at the expense of ’ interested, in case of occupation of a berth not attributable. Art. 42 All units that use l ’ port must be in perfect condition in terms of safety so as not to endanger themselves and nearby units. In case of evident danger or protracted state of disrepair, the direction may predispose the haulage of boat, charging expenses to the owner. Art. 43 The units in transit, pending the ’ assign a berth from the management, must stop all ’ special Quay in front of the control tower. L user ’ in transit, just moored, should appear with the ship's papers at the direction of the ’ landing to arrival formalities and get the enjoyment of port services, subject to the payment of fees calculated for the entire period of stay ’. The Directorate is required to maintain a record of the daily situation of units in transit, from which it is easily possible to trace all ’ units and his crew. The management makes public fares and schedules for borrowing free daily. The rules governing the transit of recreational craft is regulated by. 49-h of the Decree n ° 229 of 3 November 2017. Art.44 In the case of output of the unit with no scheduled over twenty-four hours is a norm of prudence by the master warn the Direction, for safety purposes, pointing to the location you want to achieve and the date of expected return. The direction of the ’ landing must be informed even when the indent is expected during the night. Art. 45 The direction of port ’ ’ ’ input and output rule l l authorizing and placing the movements. The commanders of the units both in Italy and abroad are required to perform the instructions received from the direction of the ’ landing while remaining responsible for the correct execution of the maneuvers. Art. 46 The management will have the movement and moving a unit, should it be necessary, in the event of an emergency or for particular requirements linked to the operation and use of ’’ landing. In case of absence of the owner or commander, the management will do so directly with their staff. Art. 47 The parking spaces in parking lots reserved are numbered and each licensed vehicle is assigned a fixed place. The owner of the fixed place is assigned a label bearing the same seat number. The Directorate shall register, that lists numerically the car spaces with the indication of the name that are reserved. Each car must be parked only in space and numbered confidential. In the event of non-compliance will be provided for the removal, as stated in the’ art. 50. Parking space cannot be used to Park caravans, Campers, boats and trolleys, in any case, vehicles of any type whose dimensions exceed those specified by ’ strips. Art. 48 In addition to car parks, referred to in articles, the concession company reserves to set up a parking space in time and on payment, whose areas are indicated by signs. Users of these car parks are held all’ compliance with all regulatory’ should be placed. Time limits, or when the vehicles are found in the area or in a manner not permitted, will be provided for the removal at the expense of the owners. Art. 49 Forced removal, referred to in articles, will be made, without notice, the Directorate; vehicles removed will be transported in a special fenced area at the expense of the owner who will return to possession only after paying transport and storage. Art. 50 The owners of residential units are required to pay their share of relevance for the services referred to in 9 ’ art.. They must inform the direction of the landing in case of rental unit. In any case, the liability to pay the above services falls solely to holders. Art. 51 Pursuant to article 68 of the code of navigation ’, all professional and commercial activities carried out all ’ in the tourist port are subject to supervision of ’ maritime authority in accordance with the provisions prescribed by Ordinance ’ 09/98 of 12/02/1998 the head of the maritime compartment of Civitavecchia, where applicable. Art. 52 Users of residential units will retain the units themselves in an excellent state of preservation, ensuring all necessary repairs. If l ’ user provided, l ’ the administrative organ will make them run in their own, by paying all costs ’ yourself. Art. 53 L ’ ’ user must refrain from making changes to the State of ’ property unless you have previously asked and obtained l ’ ’ landing Directorate of assent. It is not allowed to clutter the spaces surrounding or adjacent ’ property with plants, Christmas ornaments,, materials and furniture of any kind. Article 54 L ’ you are responsible for any direct or indirect damage that may be caused to third parties, exonerating the concession company responsible. Art 55 L ’ user must use the ’ property for the purposes for which it is intended. Any activity must be authorized by the Management. It can not in any case pursue an activity not permitted by law, noisy,and otherwise can disturb neighbors. In particular, it must be safeguarded the right to peace and to the rest of the users, owing to this end be time-limited and held nevertheless reduced volume l ’ use of radios, televisions, speakers or similar musicae. Art. 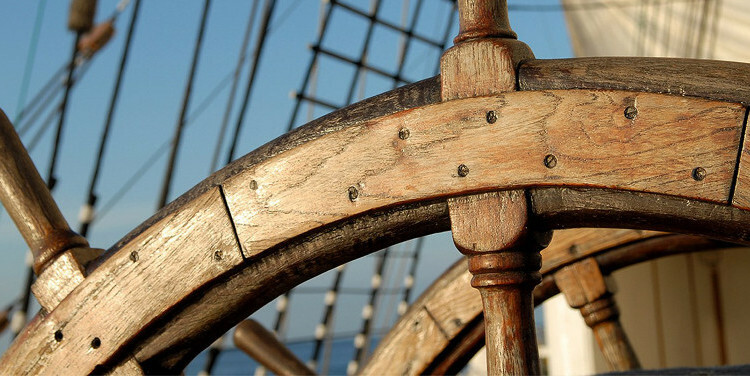 56 The shipyard must exercise exclusively l ’ major maintenance and repairs of the vessels with the exception of construction of ships or boats of any kind. The management of the shipyard in ’ exercise of its activities must observe all provisions of law issues in the area by the competent bodies, including the rules for prevention of accidents at work by remaining directly accountable to its maritime authority of every transgression eventually committed. 57 in art. All pleasure craft that will use l’ landing must be insured for civil liability and risks against’ fire, including the use of third parties. The insurance policy must be shown on request of the Directorate of’ landing that may request the integration of value, If it is inadequate. In case of no insurance or insufficient insurance value, the direction of’ will deny landing l’ access in’ the context of the’ landing. Likewise those who, in any capacity, perform services (launching and hauling, maintenance, shipbuilding jobs, fuel distribution, etc.) Nell’ the context of the’ landing must be covered by insurance, considered appropriate by the company. Art. 58 The right of use of company assets “Riva Di Traiano Marina S.p.A.” concerning the’ tourist port is connected to the holding of shares of the same company. In the case of the transfer of port unit (and actions) the transferor must inform in writing to management indicating by what date the charge must be made to the new Member. The substitute member is obliged under art. 8 the Statute of Riva di Traiano Marina S.p. A. to conclude within 60 days after buying the shares a new contract for the provision of port services-General. It is understood that in any case the incoming member is responsible, and severally liable with the transferor, payments in arrears arising out of the use of the right shares traded. If the new member doesn't provide for the conclusion of a new agreement expected from the previous article within the prescribed period, the Porto Turistico Riva di Traiano S.p. A. can make good use of its port unit. Later the faculty members recognized by art. 8 the Constitution may be exercised by the member using the express request of conclusion of a contract of port services and will be subject to the availability of a port of the same type as the unit given to his seller.